In a gallon-sized re-sealable bag, combine all ingredients but the chicken and mix well. Remove 1/2 cup of the marinade for basting. Thread chicken onto bamboo skewers (soaked in water for at least 30 minutes to keep from burning). 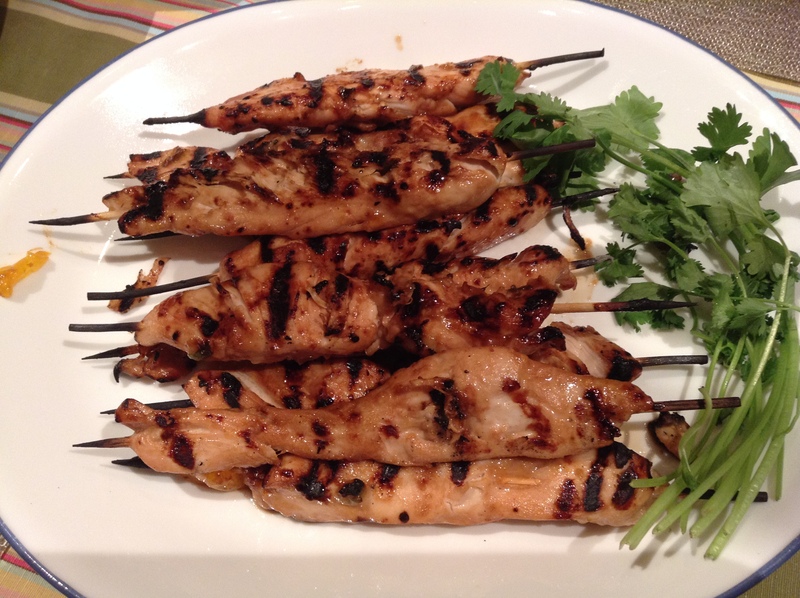 Grill skewers for 10-15 minutes or until chicken is no longer pink in the center and juices run clear when cut. Turn skewers once and baste often with additional ¾ cup marinade. Do not baste, during the last 5 minutes of cooking.